67 … WHAT A NUMBER! 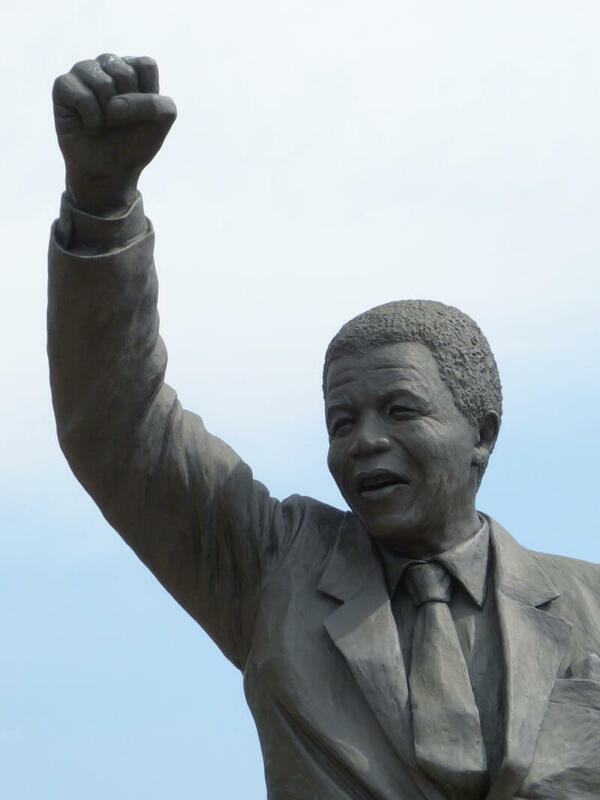 Mandela Day! It comes and it goes, but do you really get involved? Do you take the time to spend those 67 minutes with the man’s dedication in mind? Some just say they cannot think of what to do … well, let us give you a few ideas! If you were ever a kid (lol!) then you would know that there is always a good time for a gift. So, gather up some cool stuff, like stationery items, toys, games, toiletries, books, and any other goodie that would bring joy to a kid in need. Then pack it into a box, wrap it up, and deliver it to a home or a crèche. Be sure to have enough for everyone, so a little homework research is needed before you do the shop and drop. There are many young mothers, lying in hospital, with absolutely nothing for themselves or their babies. Gather together nappies, towels, feminine pads, wipes, creams, blankets, baby and mom toiletries, and drop them off at any maternity ward. Many old age homes do their best to cater to the old folk, but most of these souls just sit and never get to even chat to an outsider. Take your 67 minutes and go read to them. They will love it. Or perhaps, if you are adept at sewing, see if they need any clothing darned and repaired. And, what about a lovely manicure or pedicure. Take along some Medipod Foot Repair Cream and give those old toes a lovely massage. Your kids may be sorted every day when it comes to having aid with their homework, but there are loads of littlies that do not. Take some time and go help them with their reading, spelling, maths and maybe even a project to two. Many settlement schools would welcome the assistance. When last have you given blood? Did you know that we are in serious shortage on blood, especially the more rare types? It really could be a great way of spending your 67 minutes, and all you have to do is just sit there. From our beaches to our streets, there is always a need for a good clean up. Find out where there is a Beach Clean up such as Clean C, who organise these all over Cape Town. Use your 67 minutes to remove unsightly Graffiti from buildings and walls in your neighbourhood. Take part in the New Kidz Mandela Day 6.7km Fun Run or Walk at the Mooiplaas Wine Estate. And, be sure to give your kit a wash in our powerful FungSolve solution afterwards, to wash away all bacteria and fungus. Volunteer at an animal shelter and give the little guys a happy day. Perhaps you can even ask to wash their blankets and toys with Medipod FungiSolve for Pets Stuff. We are sure they will appreciate it. What are you doing with all those old magazines stocked up in your loo? Donate them to doctor’s rooms or what about to a home or school that is under-resourced. They will enjoy wading through the pages or cutting them up for projects. As you can see, there is so much you can do, and we have barely touched the surface of all the possibilities.